I could cut a long story short and simply say 'Yes'. You'd expect me to say that wouldn't you? I mean, I lead TTCS, experts in automating Delay Repay processes for train operators (3,010,468 claims processed / 2,197,642 automatically settled / £12.1m cost reduction). Delay Repay is a national framework which train companies use to compensate passengers for delays and if you haven't seen the rail news recently, the first official rail delay compensation stats have been released this month by the Office of Rail and Road (ORR). 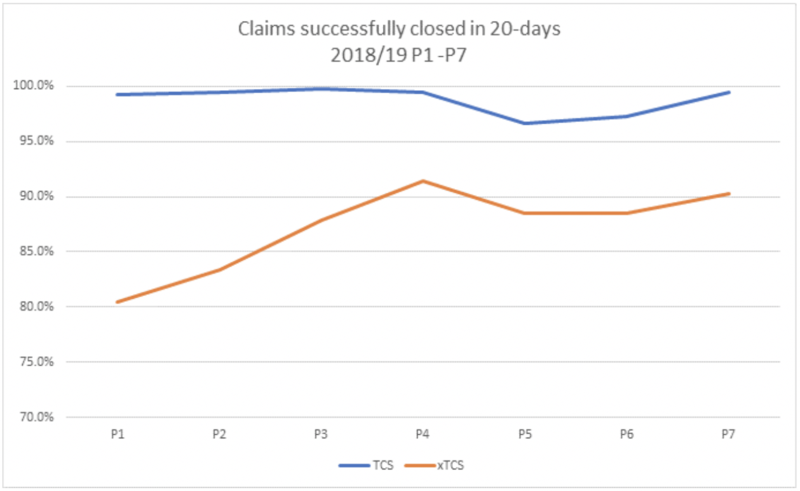 We've used the ORR stats to show you how our TTCS customers compared with other TOCs (Train Operating Companies) during the same time period - between April and mid-October 2018. It's a compelling picture that tells you all you need to know about how good we are at getting the best for our clients, and their passengers. As part of the announcements in which the ORR shared its number crunching, the regulator's Deputy Director: Consumers, Stephanie Tobyn says that the ORR will be meeting with train companies this month "to review current timescales for compensation claims, particularly where these are below target." That's added weight for TOCs to get things right, and fast. And in this blog from Transport Focus, it becomes clear that TOCs could also be under further pressure following the recent launch of the Rail Passenger Ombudsmen Scheme.